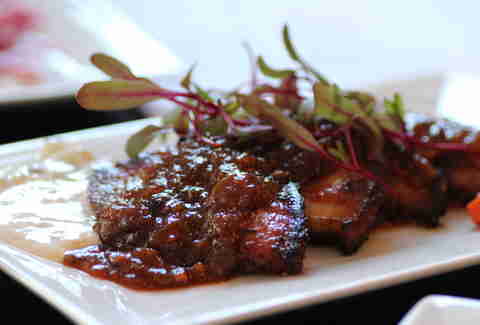 Not just what happens when Z-Trip accidentally mixes the Beastie Boys with Bach, Badmaash is LA's only "Indian gastropub". 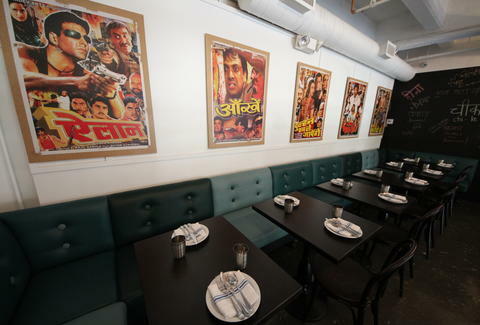 The comfy space downtown is from second-gen restauranteurs whose family business killed in Canada before they moved to LA, and it features walls lined with Bollywood posters for you to stare at while enjoying craft beers and next-level Indian eats, which you'll totally drool over if you click through this slideshow, above. 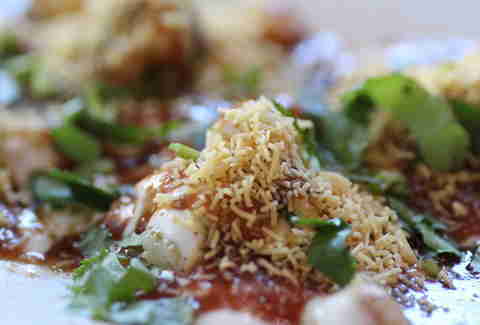 You can start off with this crazy-looking and crazier-tasting tamarind-splashed chickpea-and-chips. 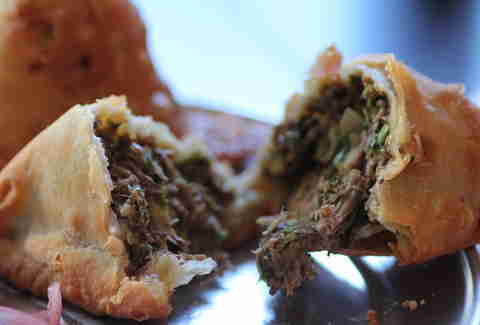 Or these homemade samosas, full of crazy-unique stuffings like braised short rib w/ pineapple and cilantro. 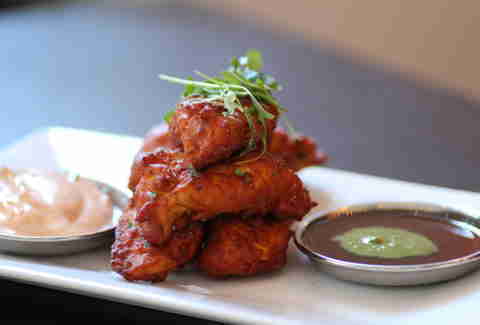 OR this two-bite fish fry, which actually doesn't bite at all. 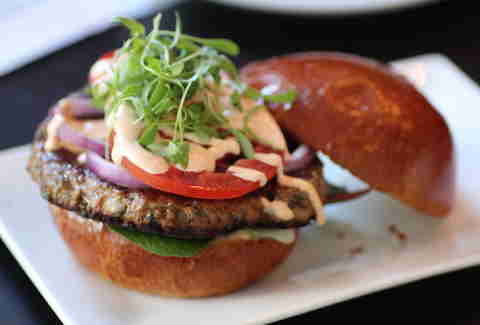 ... and a brioche'd-up lamb burger w/ spiced mayo. 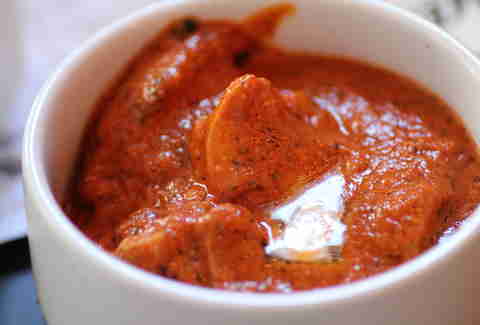 ... or the ghost chili vindaloo, which will cause a Red Light Special to go off in your mouth. 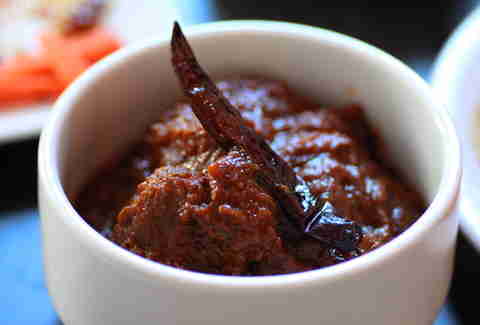 From the hotness. And also the TLC song. 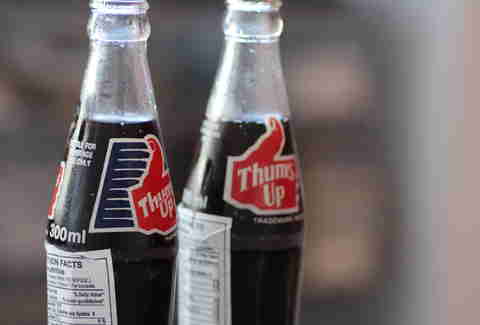 They've got a rotating slew of crafts (Golden Road Hef, Dale's Pale, etc), but the uniqueness is this hard-to-find Indian-imported cola called Thums Up, which's also the only response you'll be able to muster after they ask if that ghost chili vindaloo is spicy enough for you.